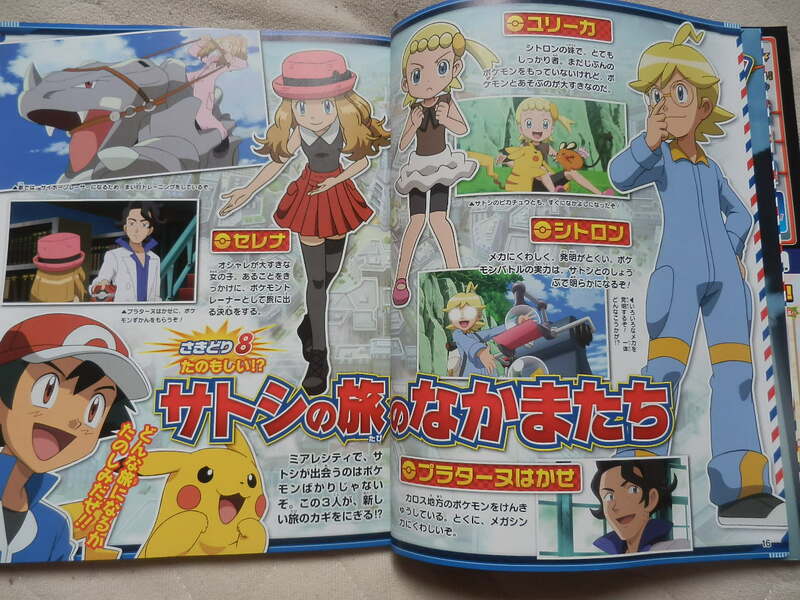 Discussion in 'Pokémon Anime' started by May, Sep 30, 2013. 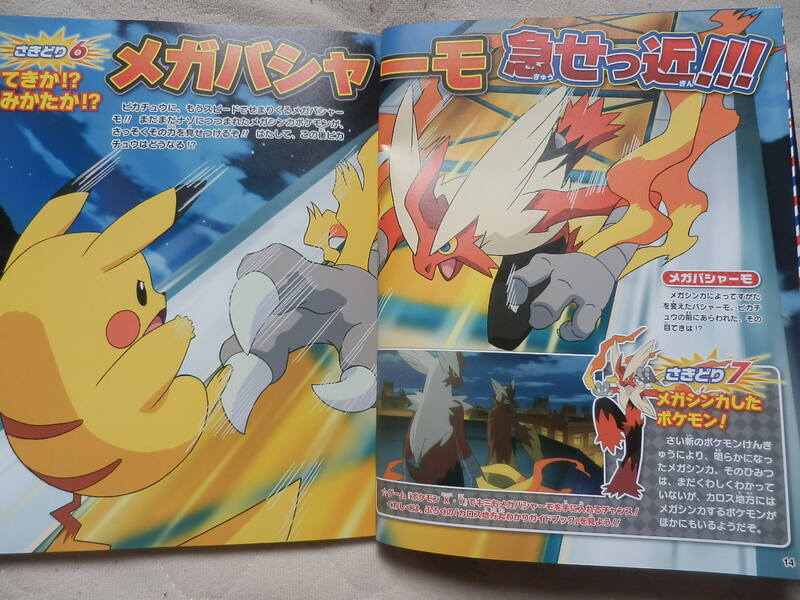 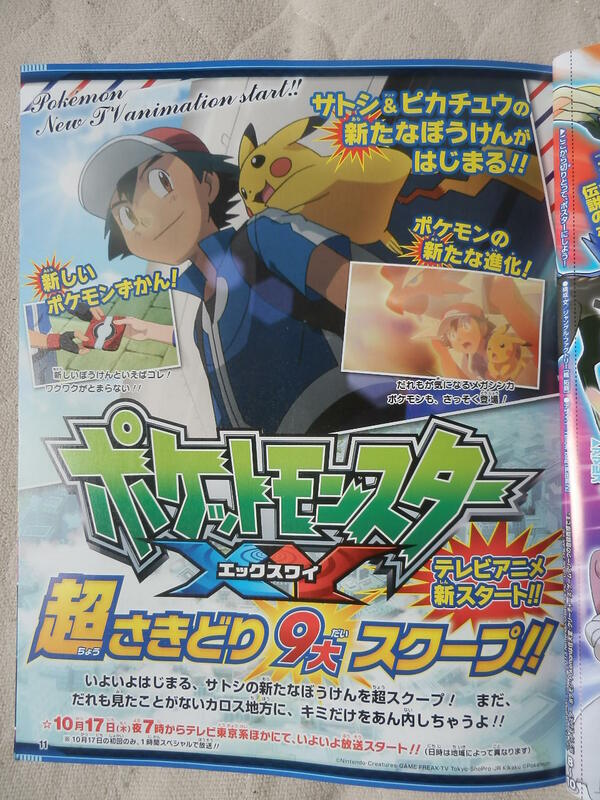 Today have been revealed, through the magazine Pokémon Fan, some new images of Pokémon the Series XY. 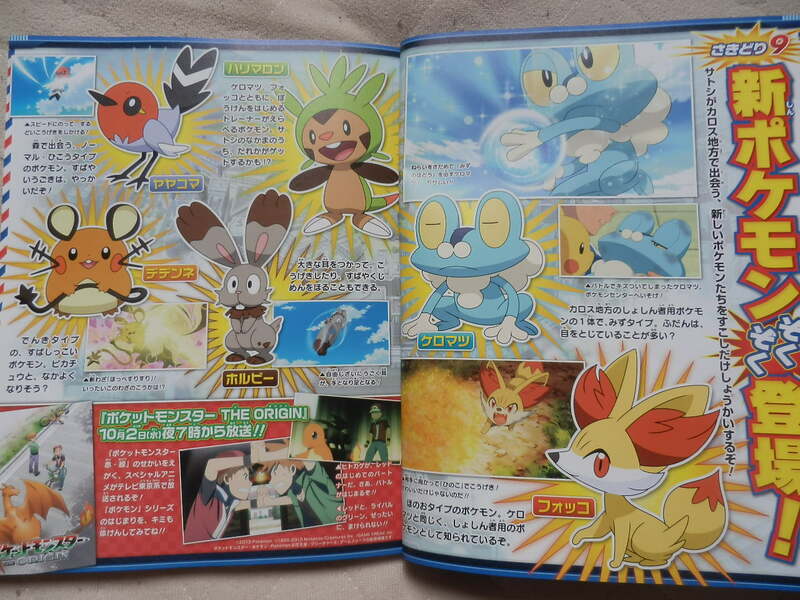 Like we can see, the scans show the new characters Serena, Clemont, Bonnie with their Pokémon Dendenne, Fletchling, Bunelby and the Kalos starters Chespin, Frokie and Fennekin. 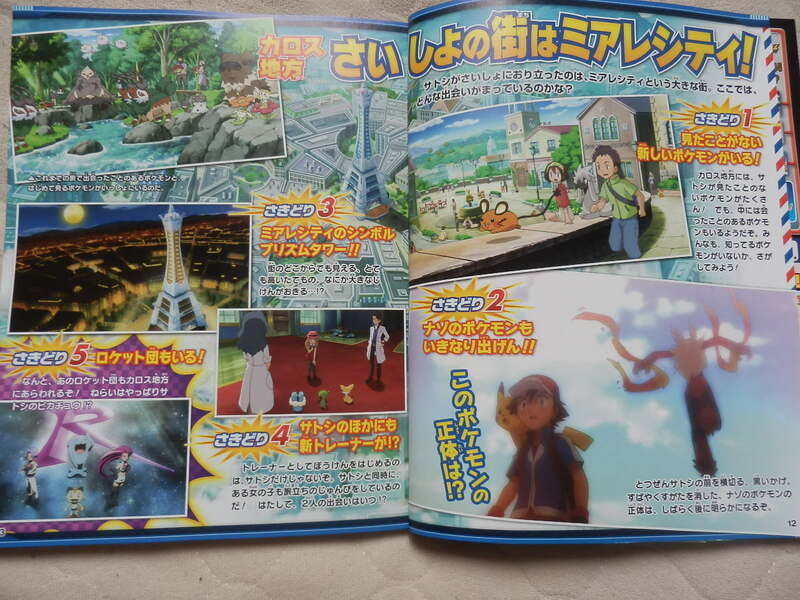 In the remainings scans we can see some new images from the anime.